Here's another easy DIY craft! I followed the DIY tutorial by Courtney from Always Rooney, who seriously makes some of the best DIYs, and is young and really inspiring. 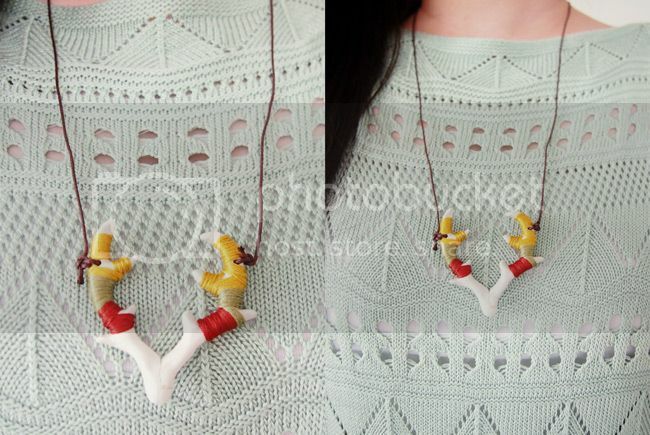 Her antler necklace caught my eye and I just couldn't forget it, so I decided I just had to make it myself! I admit I did not follow her tutorial to the tee: I used air dry clay instead of oven bake clay. BIG mistake. It was the only type of clay they had in popular, and I bought that because I was itching to make them and didn't have time to go down to an art store. So if you look closely, you'll see a crack line where my antler broke in two (at the part where they join) because air dry clay is just so fragile. I was devastated, and although it was nothing super glue wouldn't put back together, it left behind a line. Also, air dry clay needs to be coated/protected. 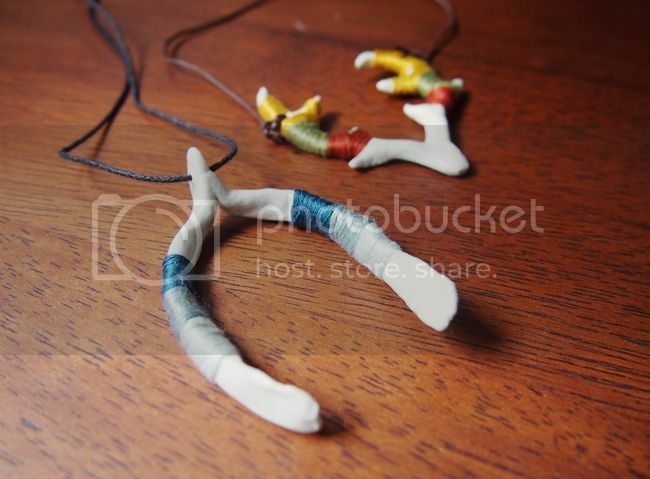 I coated the clay pieces with mod podge, but I doubt its very protective. Let this be a lesson of long term versus immediate gratification. I might have to go get some oven bake polymer clay that is waterproof and redo these. I was initially going to go with a gradient of green or red, but decided I want to go for warm fall colours, and so mixed up the colours. I used DMC 918 (red) and 3852 (yellow), and Anchor 843 (green). 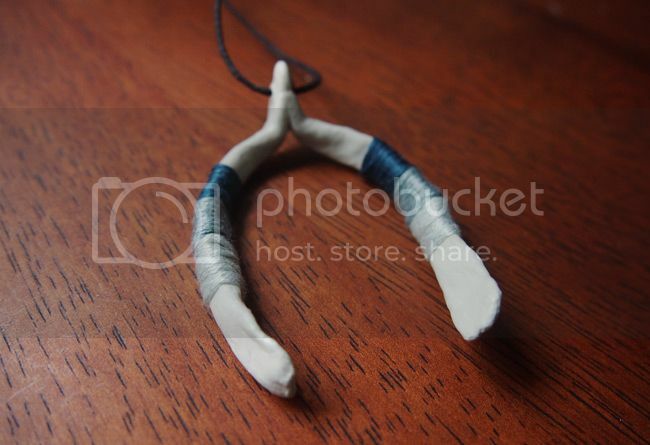 Since my hands were already full of clay, I decided to give my little spin on this project and make a wishbone necklace! 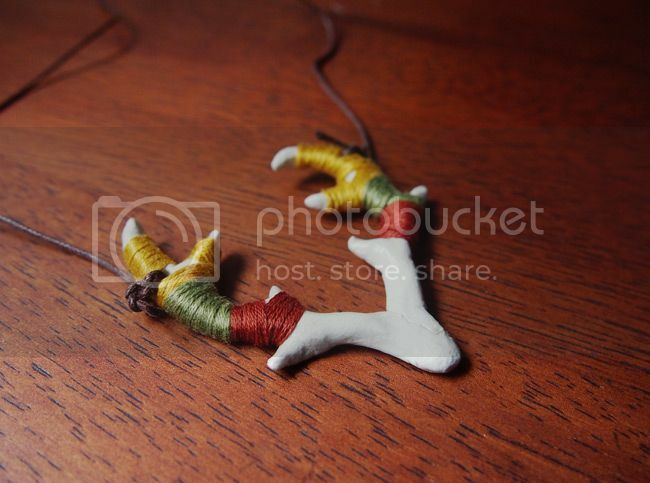 I think the wishbone is far easier to shape than the antler. 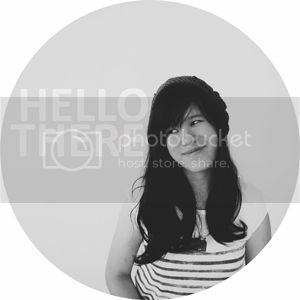 You can use this Oh Happy Day tutorial for reference! 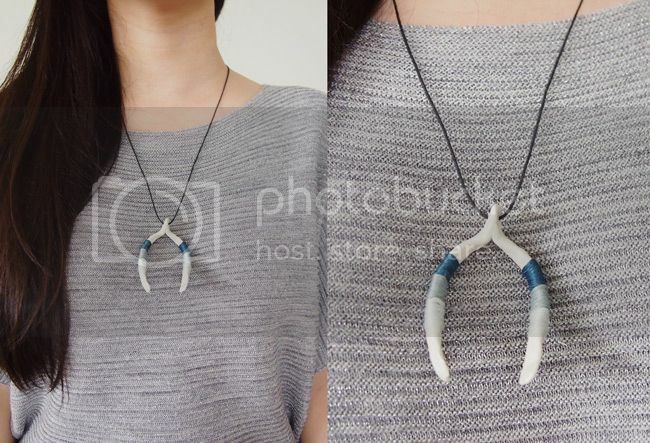 For the wishbone, I went with a gradient of blue because I love that wintery, icy look. I used Anchor Embroidery Thread: 847, 849, and 851.